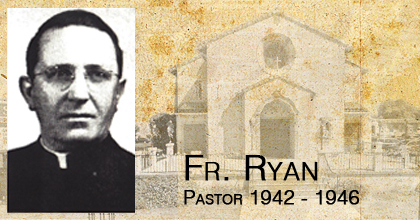 Born in Ireland (1898) and ordained a priest there (1923). 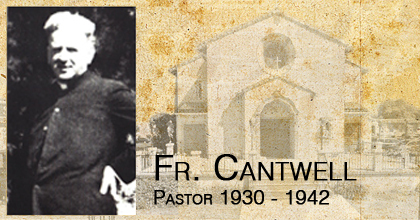 Arrived in California (1923) and came to St. John's Church, San Lorenzo (1946) at the age of 48. New Church completed in 1949; first unit of new School in 1952; new convent in 1955; additions to the school in 1957 and 1959. Elevated to rank of MONSIGNOR in January, 1966. Mandatory retirement at age seventy came May, 1968. Msgr. 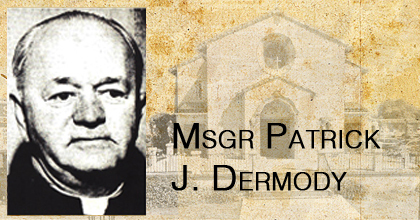 Dermody was made Pastor Emeritus by his successor, Father John J. Wagner, and remained in residence in the parish Rectory until his death, February 22, 1972. 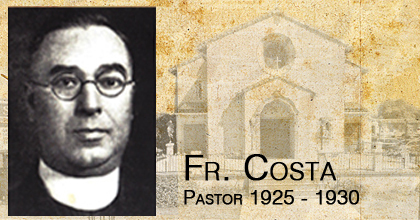 He had been an active Pastor for twenty-two years, the longest period of pastoral service at St. John's to date. Due to world-wide social, political and religious changes, those twenty-two years were turbulent ones. The parish experienced tremendous population expan­sion in the post war years requiring a decade of building - new church, school, con­vent, and extensive C.C.D. program. 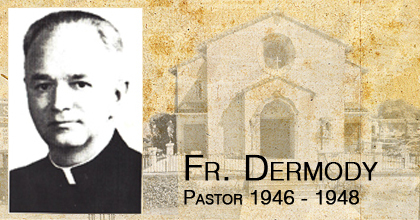 Just as the building program was being com­pleted, Monsignor Dermody suffered a stroke from which recovery was not com­plete (1958). In the sixties, when Monsignor Dermody himself was in his sixties, came VATICAN COUNCIL II with its many liturgical changes, and changes in the lives of priests and nuns. St. John's was directly affected, and witnessed the departure of the Sisters who staffed the school, and of those who staffed the C.C.D. Program. 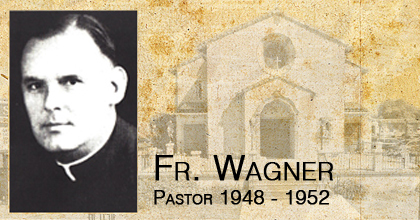 In May, 1968, Father (now Monsignor) John Wagner came to St. John's as Pastor. He had been Asst. Pastor 1948-1952. In August of 1969 he took the post of Chaplain at Providence Hospital in Oakland. The sixth and current Pastor at St. John's is Father John J. Mallon, who assumed pastoral duties on Sept. 1,1969.